MCA of Chicago is very active in Industry Advocacy. Through our Government Affairs Committee, we discuss and recommend appropriate actions primarily with respect to state and local (but also national) legislative, regulatory and legal issues. MCA Members can stay in the loop with relevant industry advocacy updates, in addition to other MCA news, by signing up for Local Angle, the weekly MCA e-newsletter. 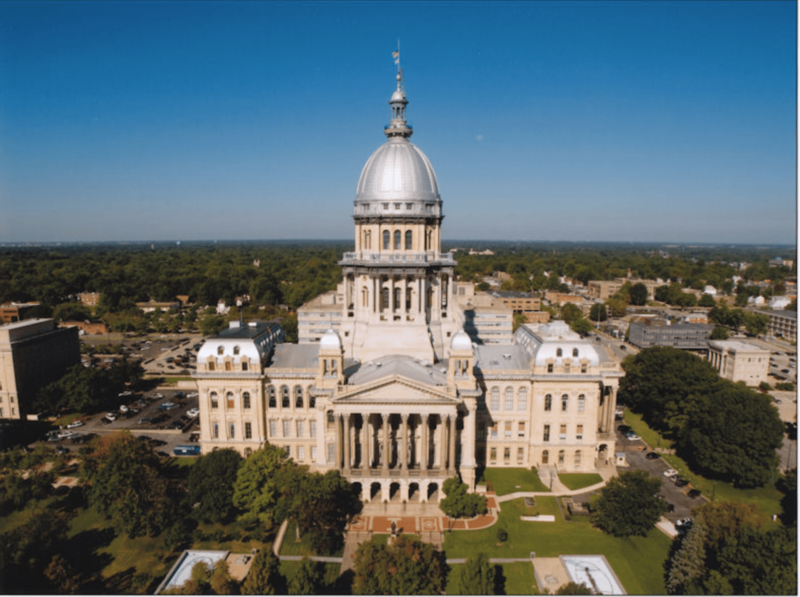 HOW DOES THE STATE OF ILLINOIS LEGISLATIVE PROCESS WORK? How MCA evaluates legislation and bills in Springfield. If it is determined that the legislation has a major impact on us, we then inform the membership asking for their help. This could be in the form of contacting the specific committee members where the legislation is being considered all the way to contacting all legislators to voice our concern. MIPAC is the Mechanical Industry Political Action Committee – the PAC established by the Mechanical Contractors Association of Chicago. PACs are a compliment to a long-term government affairs program. Our PAC’s purpose is to promote the effective citizenship of MCA members through their ﬁnancial and volunteer participation in the state and local elective process and to assist in the nomination and election of candidates for state and local ofﬁces, without regard to political afﬁliation, who will support integrity in government, strive for improvement of Illinois state and local governments, and will protect the interests of the MCA and its members. MCA’s government affairs program has saved member contractors millions of dollars over the past few years alone. Contributing to MIPAC is an investment in your industry’s future. The PAC is one of the critical tools in our arsenal to ﬁght for badly needed changes in state law and local ordinance which help keep you competitive and in business. In the United States, a tax levied on the political or lobbying activity of certain tax-exempt organizations. Subject to certain restrictions, the proxy tax applies to organizations under section 501(c)4, 501(c)5, and 501(c)6 which MCA of Chicago is. Generally speaking, this includes labor unions, civic groups, chambers of commerce, and similar groups. Unless the organization meets exemption requirements (usually meaning the organization is a veterans’ group or volunteer fire department), it must pay the proxy tax on its lobbying efforts. The proxy tax rate is 35%. An organization may avoid the proxy tax if it establishes to the IRS that members do not deduct membership dues, contributions, or other similar amounts on their personal or business taxes. MCA of Chicago pays this proxy tax so our members do NOT. The mission of the MCAA Political Action Committee is simple but vital—to gain MCAA members and our industry a fair hearing in federal public policy decisions. Our strategy is to continue to combine sound and vigorous public policy representation and advocacy with the use of appropriate political activity. MCAA’s Government Affairs Committee tracks key issues in the federal public policymaking process. The Committee also pays attention to elected legislators and candidates who have a record of supporting the many issues that are of vital interest to MCAA member companies and their industry. The Committee, as a part of its oversight responsibility for the MCAA PAC, judges which candidates to support based on local affiliate recommendations. MCAA PAC is bipartisan. If you appreciate nothing else your association does for you, appreciate that we are your voice in the nation’s capital! Currently, the maximum an individual may contribute in one year is $5,000. MCAA PAC contributions are not tax deductible. Contributions must be made with personal—not corporate—funds. Contributors are the rock stars of our industry! MCA is involved with lobbying groups, including IMSCA (lobbying group for specialty contractor associations) via this committee. Our committee chair Dave Nelson is currently president of IMSCA and has been in his role since December 2016. What Is IMSCA? Learn more with this member benefits brochure. Bridget Dougherty is our lobbyist at the state and local levels. She is supported by Morrill and Associates in her watch of Springfield. The MCA has its own political action fund (MIPAC), where we can make donations to state and local candidates. Find your representatives using the official Illinois Board of Elections locator. Need a refresher on how a bill becomes a law in Illinois? Click to view this simple infographic, via the Illinois General Assembly.